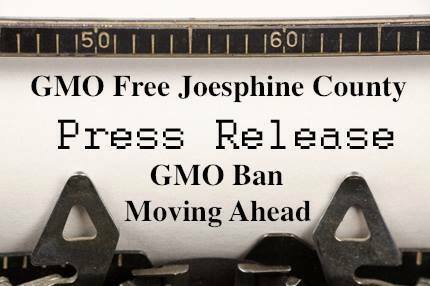 Following on the heels of the State of Vermont, two Oregon counties Jackson and Josephine county, completely banned the cultivation of genetically engineered crops from being planted within their borders. Prior to the election on Tuesday the election campaign was flooded with Monsanto and five other corporations who attempted to influence the election by pouring hundreds of thousands of dollars into the area. The bills were introduced as a result of GM agricultural contamination experienced by some farmers who found genetically modified crops growing on their land despite farming organic produce only. The bill mandates that people “harvest, destroy or remove all genetically engineered plants” no later than 12 months after the ordinance goes into effect. Jackson County’s measure is exempt from the state law, since it was under way before the law was passed. Josephine County’s measure is not exempt, but supporters decided to proceed anyway, despite the threat of a legal challenge. In Jackson county 66 percent of residents voted in favor of the ban. “We fought the most powerful and influential chemical companies in the world and we won,” local farmer and anti-GMO advocate Elise Higley told the Oregonian. The Josephine county bill passed with 57%, with some controversy, which may require legal intervention to enforce the initiative. ← Mediterranean diet reduces blood pressure and causes epigenetic changes.